Thanksgiving has ended and the holidays are coming. Travel agencies are starting to book a lot of trips from individuals who want to escape for the coming holidays. 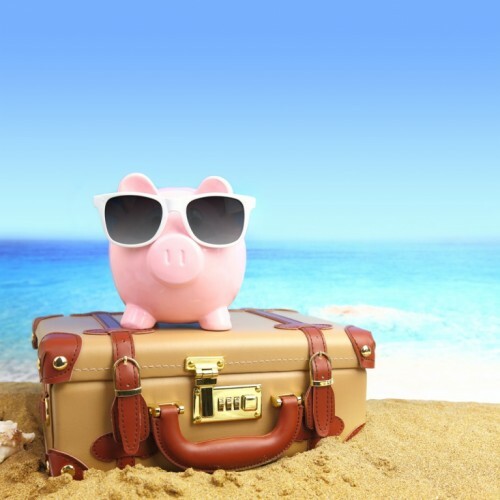 During this season, many people have saved enough money enabling them to travel out of town or abroad. Americans have chosen cities in Europe, Asia, and South America among the best travel destinations, but going to these places require a lot of money. Before leaving the country for a vacation, individuals need to plan their trip carefully, budgeting their money and expenses. People would need to do extensive research about the place that they want to visit and the cost of staying in the area. Knowing this information beforehand would save them a lot of money. Having a reliable itinerary would prevent their time being wasted for activities that they do not like. For most families in the United States, visiting another state is the best way to go. It is more affordable than going out of the country. The same excitement can be offered depending on the place that will be visited. The practicality of going out of town has influenced other families to do the same – booking a hotel at a popular domestic destination, camping out in the woods, or going surfing and swimming by the beach. Some of the most popular tourist destinations in the United States are Alaska, Hawaii, Florida, California, New York, and Nevada. Every year, these states take in millions of tourists around the world, generating billions of dollars of profit. Other families, especially those who are earning more, prefer a holiday overseas. The cities across the Mediterranean are a popular choice because of the turquoise blue waters of the seas and the unique culture and tradition of the cities and towns located on the shores. Other families choose to have an exotic vacation in Asia and South America, reliving the glory of ancient empires by visiting various ruins, including palaces and temples. Americans contribute a huge percentage of the global tourism ticket. This helps governments across the world to develop their tourism industry and offer new facilities to the visiting public. If you are dreaming of going out of town or abroad for this year’s holiday season, you should start looking for part time jobs that pay a good amount of money. One of the most in-demand jobs this season would be freelancing jobs, and there are thousands of websites on the internet that offer jobs that pay considerable income. You could start applying for an online job by creating a resume and sending your cover letter to the jobs that you want to apply for. Once admitted, you could start working at home and earn money for your next vacation. Another option for those who wanted to take a vacation overseas would be applying for a part-time job in the food service or the retail industry. Restaurants across the country accept part-timers who want to work for a short period. Malls, grocery stores, and clothing stores are hiring additional workforce during this season to cope with the influx of customers who are shopping for gifts. Once you manage to secure a job of your choice, you can start saving money based on the expected expenses that you have written on the itinerary. Lodging and transportation costs are the first ones to be considered. Try to book cheap airline tickets months before the actual date of travel. For those who are suffering from mobility problems, they could search for an electric wheelchair which would assist them in touring around. Money for clothing and food should also be considered. Make sure to visit websites that offer discounted accommodations because it would save you a lot of money. Once you reach your target amount, you can start packing your things. Be sure to bring sufficient amounts of clothing and try to check the weather in the area where you’re heading to get an idea about the type of clothes that you should wear. Head to the airport (or the seaport if you prefer cruises) earlier than the scheduled flight, so you can have more time to get to your departure gate, especially when traveling abroad. Happy traveling!